The mall that played an outsize role in my adolescence is now a ghost town. 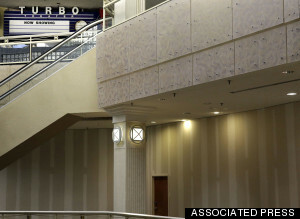 I didn’t really believe that malls were going extinct until I saw my own mall dying. As a business reporter, I'm fully aware that people aren't buying clothes and food in the same ways they used to. 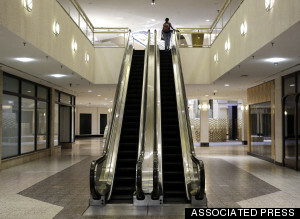 But all the charts and analyst reports about mall vacancy rates and online retail trends couldn't prepare me for what I felt when I came across pictures of White Flint Mall, a now-moribund shopping center in Montgomery County, Maryland, where I spent a good part of my formative years. White Flint isn't completely dead, but the outlook is not good. The only stores still in operation are a Lord & Taylor and a P.F. Chang's. On Jan. 4, the P.F. Chang's will close. The mall's owners are planning to redevelop the area into a town center with residential buildings, offices and retail locations, although they haven't announced a time frame for doing so, according to Bethesda Magazine. Seeing photos of White Flint as it looks today, I was overcome with blended feelings of nostalgia and a depressing finality, like when you hear a song associated with a specific memory -- taking your first road trip, or dancing the night away with your best friends -- and realize it was a defining experience you'll never have again. Inside White Flint Mall last month. White Flint is less than a mile's walk from my middle school and high school. On days when class let out early -- a relatively frequent occurrence at a Jewish day school that gave families time to prepare for holidays that start at sundown -- students would flock to the mall by foot or by bus to kill some time away from their parents. From age 12 until I was old enough to drive, my friends and I had a semi-regular tradition of going to the mall’s Cheesecake Factory and gossiping over avocado egg rolls and pasta dishes. The bills were always small -- we were relying on babysitting and bat mitzvah money -- but that's where we first learned the bizarre adult ritual of splitting a check. We weren’t the only ones from school there. Part of the fun was avoiding eye contact with the other cliques peppered throughout the restaurant. “Eating at the Cheesecake Factory in large groups on half-days was an institution,” one friend who wasn’t in my lunch club put it. After lunch, we’d roam the mall’s fluorescent halls for hours. We’d try on logo tees, sit in the massage chairs at Sharper Image and sample the cloyingly sweet lotion at Bath & Body Works. Rarely was the point of any of this to make a purchase. “Going to White Flint was way cooler than shopping at White Flint,” said one friend when I asked for her memories of the place. Indeed, I can’t recall much about the tchotchkes and cheap jewelry I bought there. What I do remember is how my stomach tingled as I sat on a bench flirting with a crush, and how it felt to bond with a classmate over Sbarro slices in the depressing food court on Yom Kippur, relishing the last year we were too young to be required by Jewish law to fast on the holiday. Of course, I was not the first person to learn life lessons in a shopping palace. Providing a space for teenagers to take part in these small acts of self-discovery is one of the reasons malls were so popular for so long. As cars and roads carried more Americans to the suburbs in the middle of the 20th century, those Americans needed places for their adolescent kids to hang out. Cul-de-sacs and yards are great for little kids, but they lose their allure as those kids become teens. “Meeting their friends in the mall and spending the day hanging out was a favorite pastime” of teens, said Robin Lewis, a retail consultant. A classic depiction of this can be found in the 1995 Amy Heckerling movie "Clueless." For the main character, Alicia Silverstone's Cher, the mall is both a backdrop for her social life and a source of therapy. But smartphones and Amazon aren't the only things rendering malls obsolete. Twenty- and 30-somethings, myself included, no longer yearn to start families in suburbs designed around strip malls and unwalkable roads. Instead, we want to live in picturesque towns and cities with main streets lined with shops, restaurants and other amenities -- not unlike the places where most Americans lived in the early 20th century, before malls came along. Amy Ginsburg, the executive director of Friends of White Flint, a nonprofit looking to transform the mall and its surroundings, suggested that the gradual decline of malls speaks to a desire to reclaim an older way of life. “It’s almost like we’re going backwards, but in a good way,” Ginsburg told me. A quaint street in Rockville, Maryland, c. 1916, not far from the future site of the White Flint Mall. Ginsburg's organization is working on a plan that, if implemented, would transform the several-mile area surrounding White Flint from an uninviting knot of six-lane highways and strip malls into a walkable neighborhood designed around a grid with bike lines, grocery stores, movie theaters and more. Like many teenagers of the '80s, '90s and early 2000s, I got my first taste of independence, love and unsupervised fun at the mall. My generation may be the last to experience that. Instead, tomorrow’s teens will likely learn the lessons of adolescence in public spaces like sidewalks and coffee shops, and in virtual spaces like texts, Twitter and Tinder. There's something about that fluorescent-lit cocoon that made it feel both far enough from your parents and protected enough from everyone else that you could experiment with new behaviors or talk to people you wouldn't normally. But just as grown-ups have done for years, I’ll have to adjust to the fact that the place I loved as a kid is no longer cool. Even Ginsburg, the walkable-bikeable advocate, has some nostalgia for the adolescent years she spent at the mall. When White Flint first came to town in the 1970s, she said, “it was just the best thing you’ve ever seen." CORRECTION: An earlier version of this story incorrectly stated the date the photograph of a Rockville, Maryland street was taken. The Library of Congress dates the photo to between 1916 and 1917, not 1947.